Still going strong after 1.5 years, this Atlantik v1 is one of the first units off the assembly line and is still holding its own with PAR ratings that beat all other models on the market. The unit is on 12hrs/day for a total of approx. 6500hrs use in the last year and a half. The PAR testing shows that the par levels have not decreased through the course of use. The Apogee par meter was placed 75cm (30 inches) below the Atlantik pendant. The Apogee par meter was placed 0.8 meters (31.5 inches) below the Atlantik pendant. Check this link for the original PAR testing from the owner of the light. 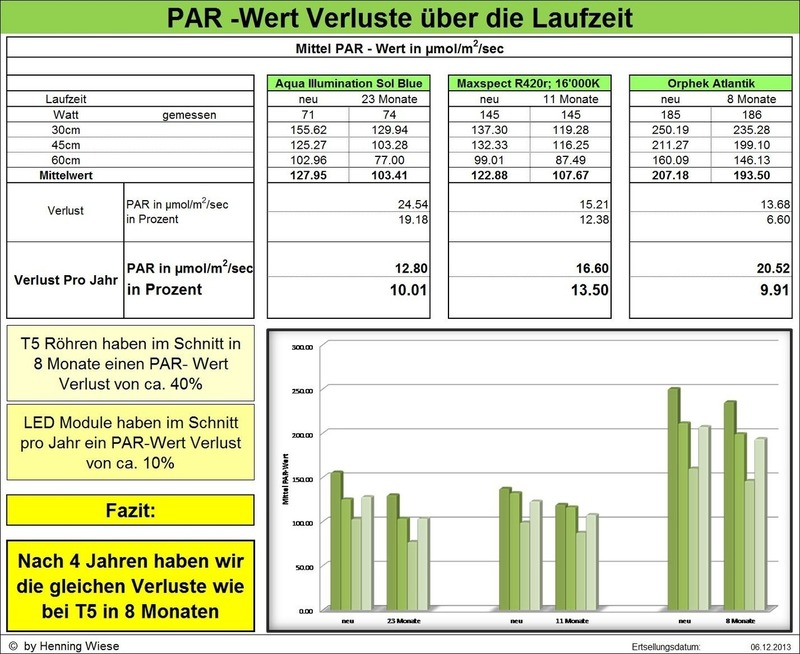 Thanks to Mr. Henning Wiese For the PAR TEST, All right reserved .